New for 2018! I am offering informal and relaxed one-to-one photography tuition. 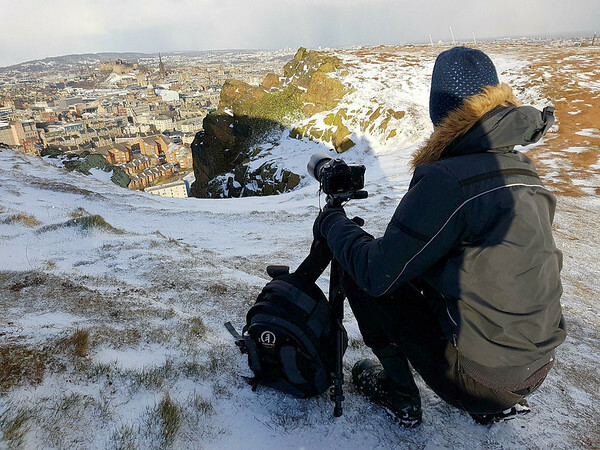 Whether you are new to digital photography or a keen amateur snapper, I aim to teach you the basics of shooting in manual with your DSLR camera around Edinburgh and its surrounding areas. My tuition will be entirely tailored to your ability in order for you to learn as much as possible over the recommended 2 hour period. I will offer you tips and advice on how to shoot quickly in the moment handheld, how to assess the natural light, how to use knowledge of the changing weather to your advantage and how to the achieve the best quality results possible in your present surroundings, using pre-planned set ups with a tripod. Every photographer likes to shoot a scene differently. As part of the tuition I will show you how I achieve my images by basing each scene around the four basic principles - Lighting, composition, subject and focus. Go home with great shots taken at your chosen location and some great ideas for the future. Learn to use your camera and realise your full potential. We can begin with discussions through email, phone or even instant messenger. I can offer tips for creating your own style and maximising the results from your camera equipment. After that, let's meet up for coffee and a chat before exploring the iconic sights within the beautiful and historic city of Edinburgh! All you need to bring - Your DSLR camera / A tripod (If you don't have one I can help out) / Suitable clothing and footwear for walking around town / Lots of enthusiasm!